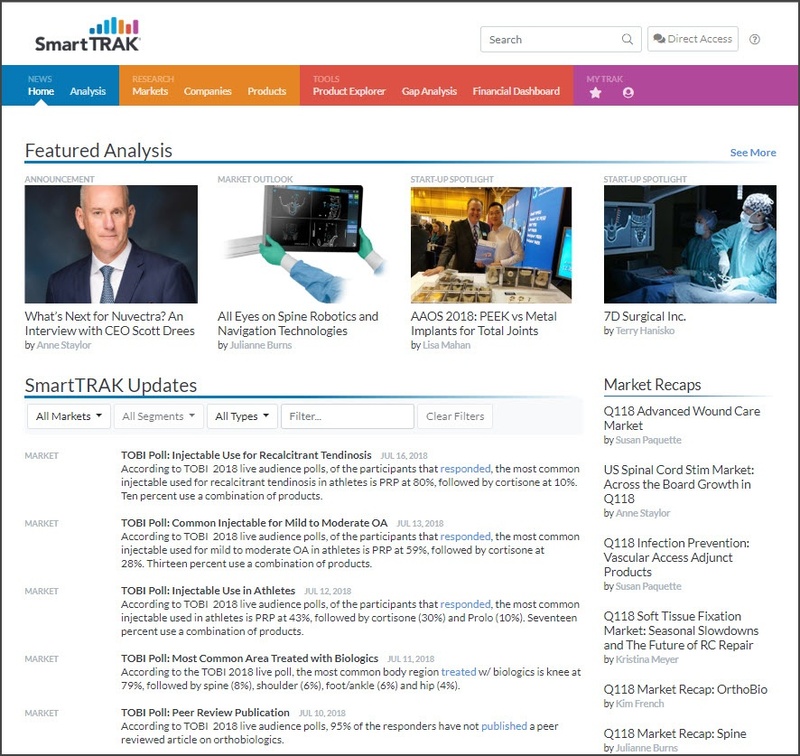 What is New in SmartTRAK 3.0? BioMedGPS consulted with a usability expert to address user feedback and elevate the SmartTRAK experience. Users can expect the same smart content but with even smarter navigation. The new, cleaner site design prioritizes the most sought after business intelligence, analysis and tools helping users work smarter and more efficiently. SmartTRAK 3.0 has also been completely redesigned for mobile and tablet giving users full access to all competitive intelligence, data, and tools wherever, and however they may be working. Testimonial - Scott Brown from SmartTRAK. Please see SmartTRAK Testimonials for even more satisfied customers! Check out the SmartTRAK Blog for more orthopedic, wound care, and neuro therapies industry news and analysis.